Welcome spring with a flowery, colorful cake! 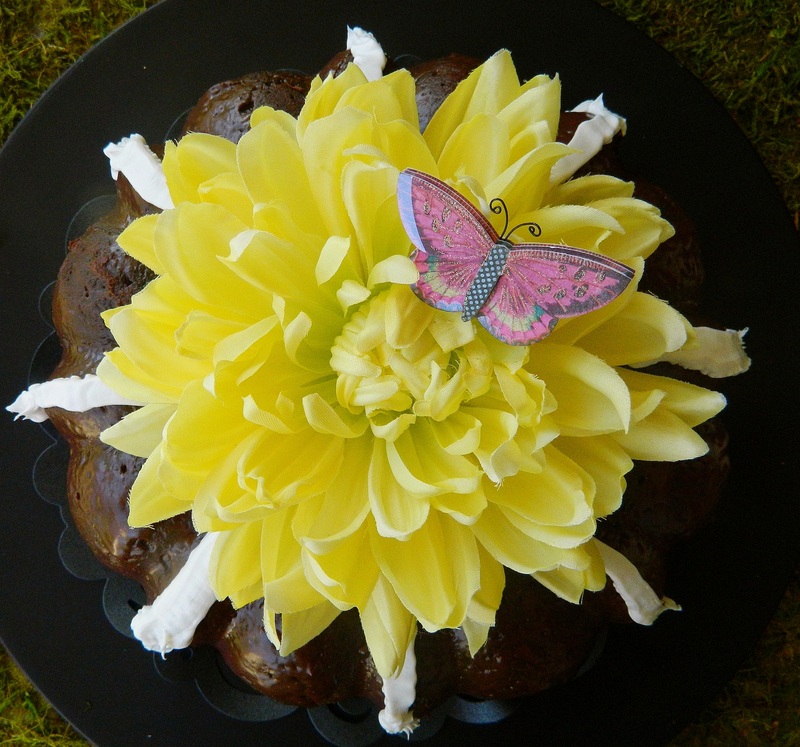 Make your favorite Bundt cake, add some silk flowers, butterflies, garden picks and other spring accents (walk the aisles of Michaels for inspiration), and let your ideas bloom. 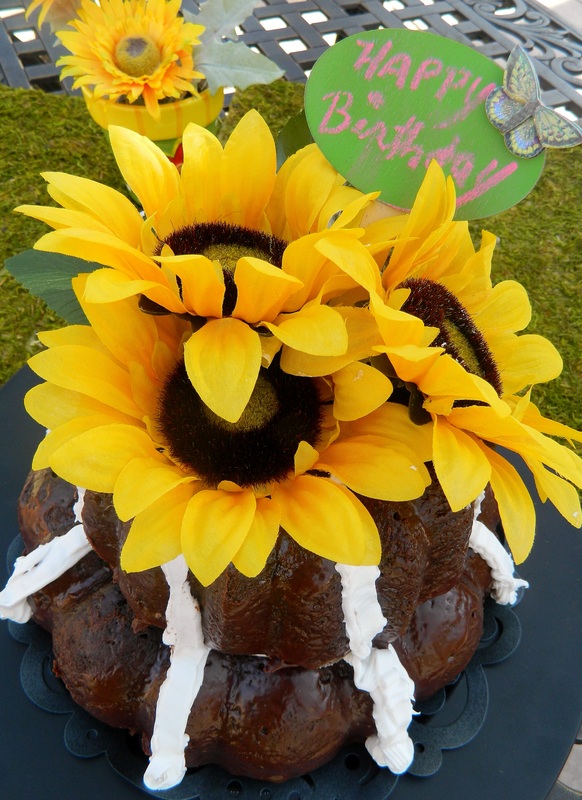 Make a two-layer cake by using a smaller Bundt pan for the top layer. Place the smaller cake on a cardboard cake ring. 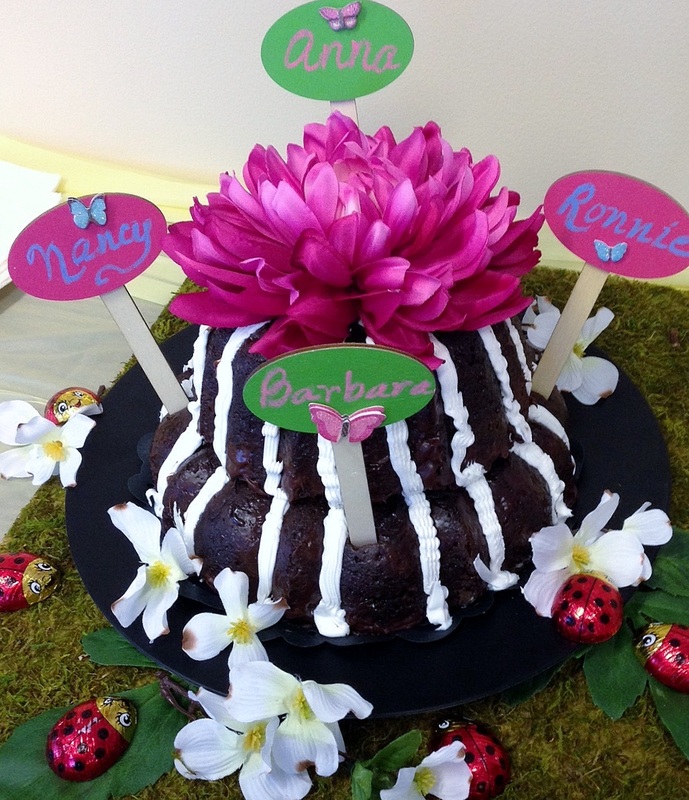 Chocolate lady bugs, mossy grass, and garden picks add some garden fun! Wait! Easter Pie? I had never made that! What is it? A Google search showed variations – some were pie crust pastries filled with Italian cold cuts, sausages, eggs, cheeses and ricotta cheese. The other version is a dessert made with ricotta cheese with some recipes calling for chocolate chips or candied fruit. I chose the sweet Easter Pie, a tradition in Italian homes. (Perhaps that’s why I missed the whole Easter Pie thing.) An Internet search kept bringing me back to Giada De Lauerentiis’ recipe with toasted pine nuts and orange rind. 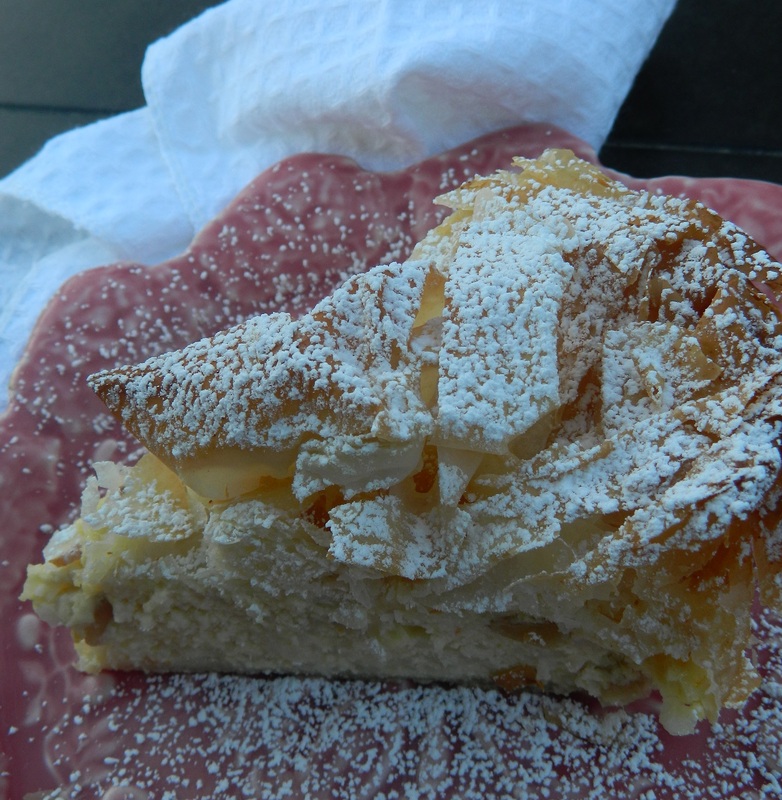 The result was a not-overly sweet pastry with a filling resembling a rice pudding. The filo dough was buttery, crispy and light. Make it this spring for a sweet ending to an Italian meal. Cut the pieces small and pair it with small glasses of Asti Spumante or Vin Santo. Blend 3/4 cup of powdered sugar, eggs, vanilla, orange zest, and ricotta in a food processor. stir in the rice and pine nuts and set aside. Lightly butter a 9-inch glass pie dish. 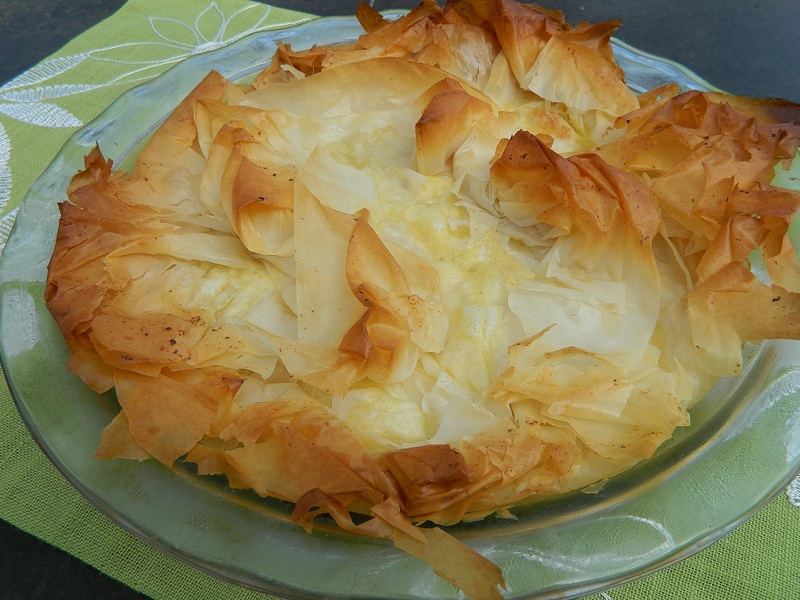 Lay one phyllo sheet over the bottom and up the sides of the dish, allowing the phyllo to hang over the sides. Brush the phyllo with the melted butter. Top with a second sheet of phyllo dough, laying it on the opposite direction as the first phyllo sheet. Continue layering the remaining sheets of phyllo sheets, alternating after each layer and buttering each sheet. Spoon the ricotta mixture into the dish. Fold the overhanging phyllo dough over the top of the filling to enclose it almost completely. Brush it completely with melted butter. Bake the pie until the phyllo is golden brown and the filling is set., about 35 minutes. Transfer the pan to a rack and cool completely. Sift powdered sugar over the pie and serve.